As this week opened with a meeting of the World Intellectual Property Organization committee working on the protection of genetic resources and traditional knowledge, a new book was released that looks into indigenous rights and indigenous intellectual property, in the context of the Paris Agreement. The book also looks into Tesla’s open innovation strategy. The book, titled Intellectual Property and Clean Energy, seeks to provide a critical analysis of the impact of the Paris Agreement on climate adaptation and mitigation technology. Matthew Rimmer, professor in intellectual property and innovation law at the Faculty of Law, Queensland University of Technology (QUT), Australia, authored several chapters of the book. The question of indigenous rights was “prominent during the negotiations over the Paris Agreement 2015,” and there have been concerns “that the international climate law framework is inadequate and insufficient to address Indigenous rights,” he said in the book. From an intellectual property perspective, the chapter looks at the impact of climate change upon traditional knowledge. In another chapter, Rimmer explores the larger questions about the treatment of indigenous rights under international law. “There is a need for better recognition of Indigenous Intellectual Property—including in respect of Indigenous environmental and climate knowledge,” Rimmer said. 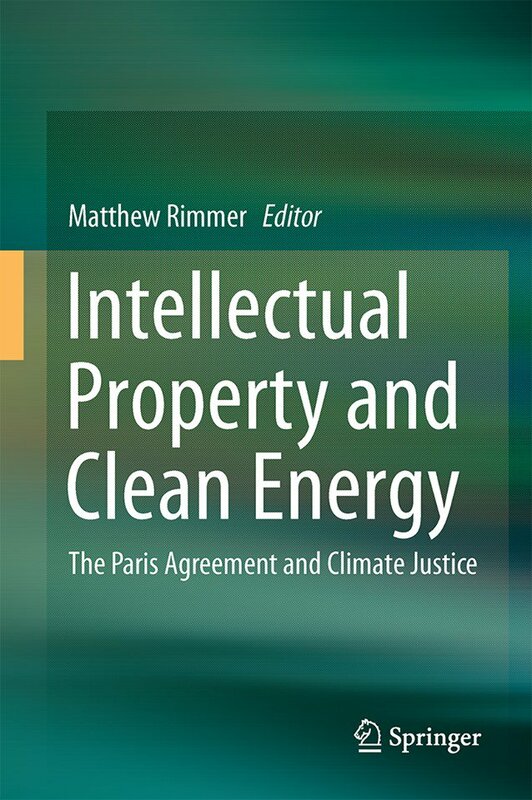 Rimmer also wrote a chapter on Elon Musk’s Tesla open innovation and climate change, and in particular Tesla’s shifting strategies in respect of patent law, policy and practice. The chapter explores the reasons behind Tesla’s business strategy, going from a strict approach to the protection of intellectual property, to an open source philosophy in 2014. Musk then declared that Tesla would not initiate patent lawsuits against “anyone who, in good faith wants to use our technology.” Tesla however maintained well-guarded trade secrets, as well as continued filing patents on innovative technologies, Rimmer found. "Indigenous IP And Climate Change Subject Of New Book" by Intellectual Property Watch is licensed under a Creative Commons Attribution-NonCommercial-ShareAlike 4.0 International License.